As control of the major labels passed from music professionals to money managers who view a melody as no different from a pork belly or a silver ingot, the discipline of record promotion basically died. So it’s unsurprising that the Recording Industry Association of America (RIAA) reacts to innovative forms of artist promotion instigated outside their plastic bubble in the only way they know how – with lawsuits. On Tuesday night he was arrested with Don Cannon, a protégé. The police, working with the Recording Industry Association of America, raided his office, at 147 Walker Street in Atlanta. 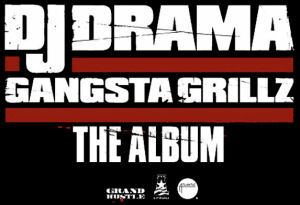 The association makes no distinction between counterfeit CDs and unlicensed compilations like those that DJ Drama is known for. So the police confiscated 81,000 discs, four vehicles, recording gear, and “other assets that are proceeds of a pattern of illegal activity,” said Chief Jeffrey C. Baker, from the Morrow, Ga., police department, which participated in the raid. Even though he operates with the enthusiastic blessing of every performer of all the material used for his discs, despite the fact that, as Times reporter Kelefah Sanneh writes, “Rappers often seem proud to be considered good enough for a “Gangsta Grillz” mixtape,” and perhaps most importantly, with a complete disregard for the free promotion DJ Drama’s artful creations give their music. It also seems clear that mixtapes can actually bolster an artist’s sales. The most recent Lil Wayne solo album, “Tha Carter II” (Cash Money/Universal), sold more than a million copies, though none of its singles climbed any higher than No. 32 on Billboard’s Hot 100 chart. That’s an impressive feat, and it’s hard to imagine how he would have done it without help from a friendly pirate. Music that doesn’t get played on the radio, doesn’t chart through conventional channels, yet sells platinum – PLATINUM. It only happens because of the underground. It’s like technology companies who put hackers in jail, when they should be hiring them.